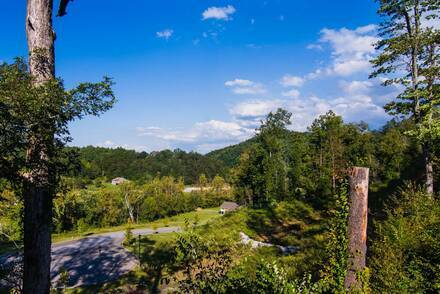 Choosing the perfect location for a wedding party, reunion, or group vacation might feel overwhelming, but when you book Mirage, you will find it only gets better as you draw closer. 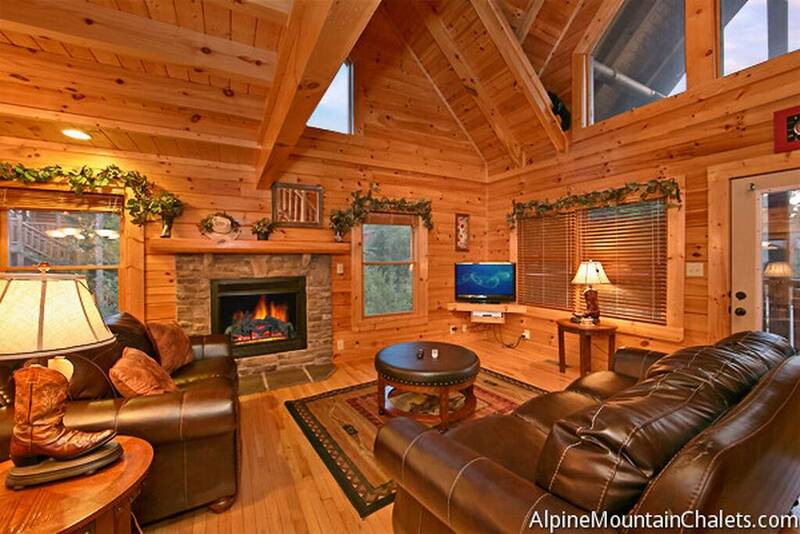 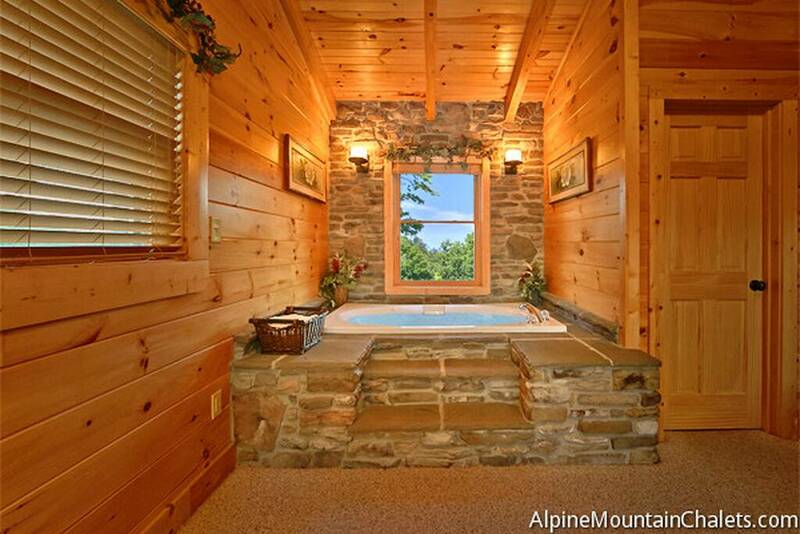 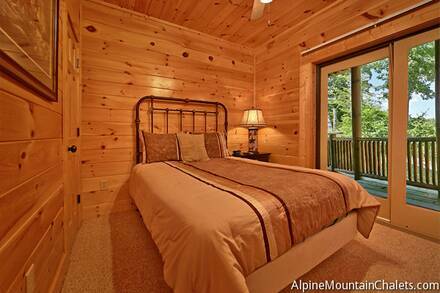 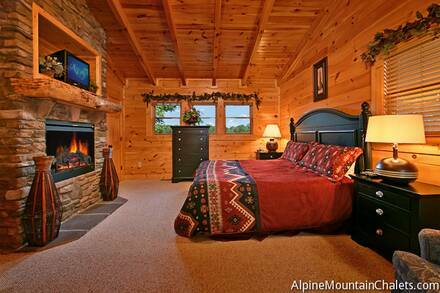 One of the most striking large cabins in the Smokies, Mirage is immediately eye-catching, with warm log construction, a green roof, and multiple patios. 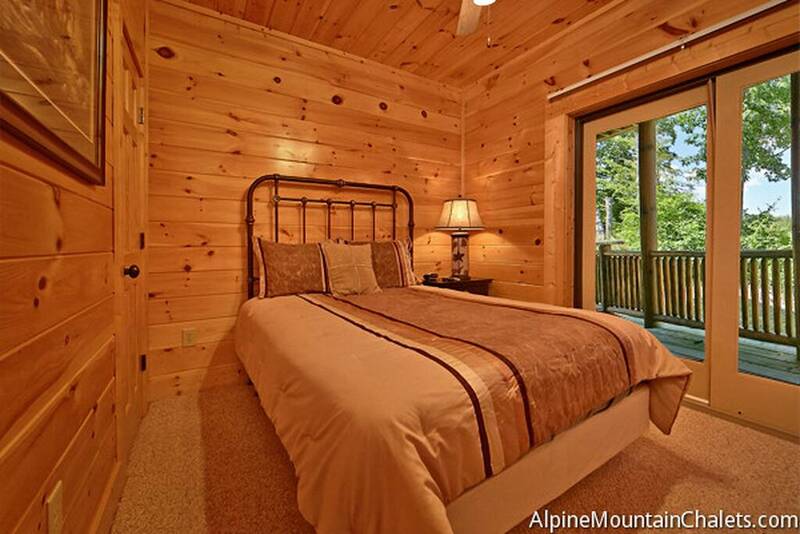 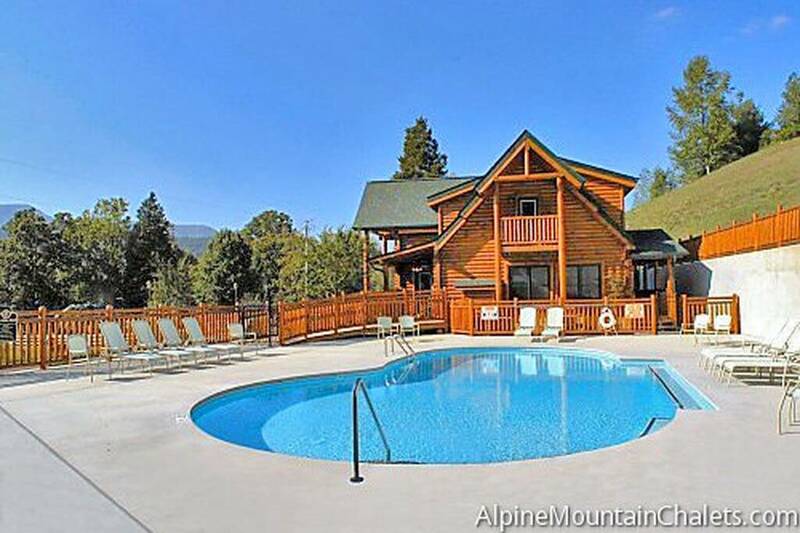 Book this amazing spot now while it is still available! 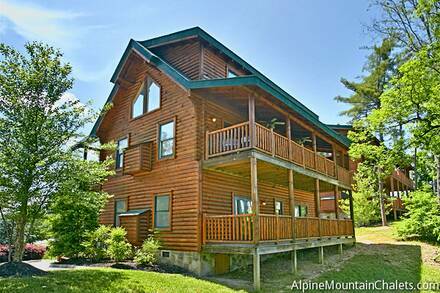 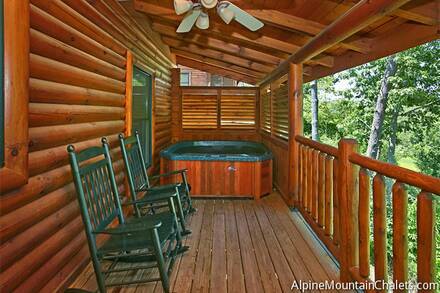 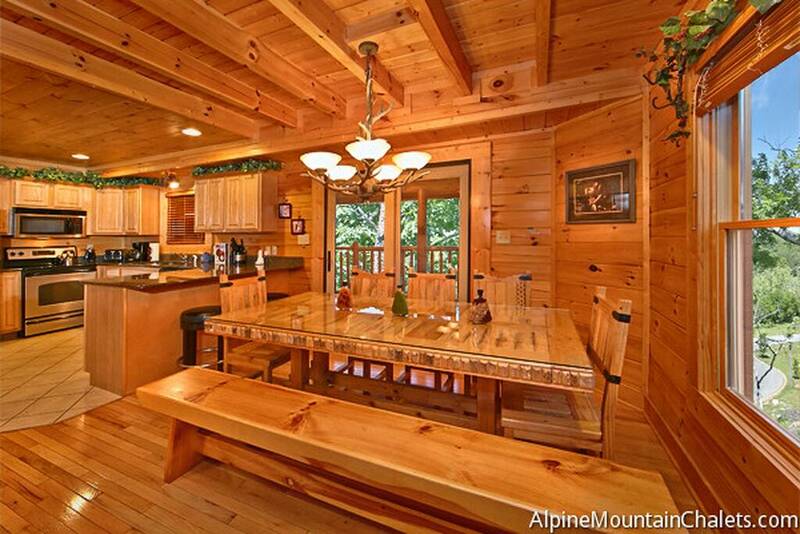 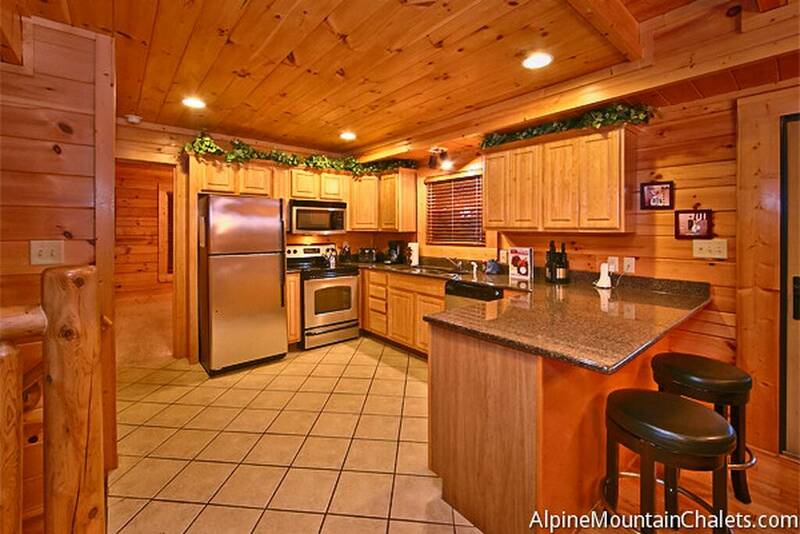 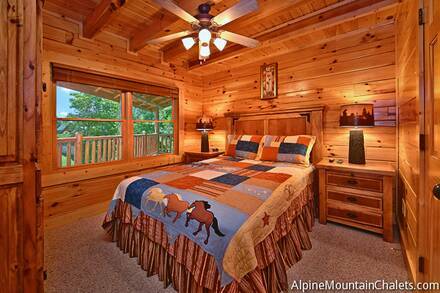 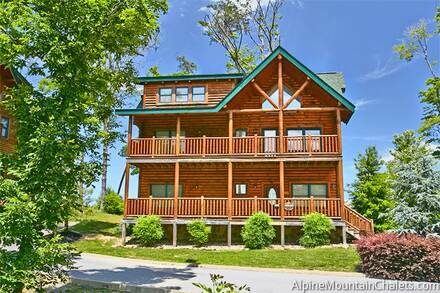 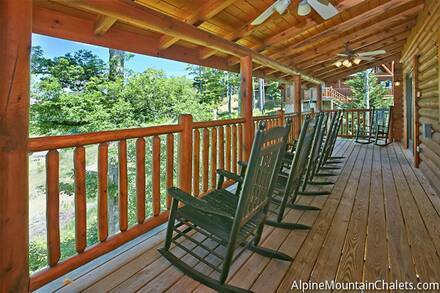 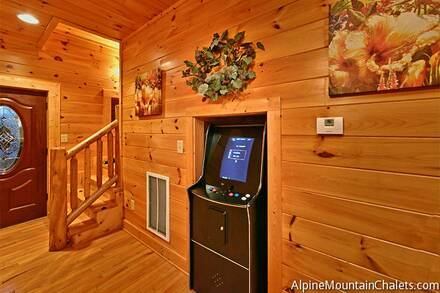 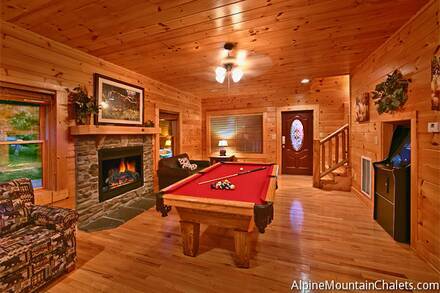 A row of rocking chairs greets you as you approach Mirage, but this charming cabin has much more to offer. The open living room is both spacious and cozy, with leather sofas surrounding a wide stone fireplace. 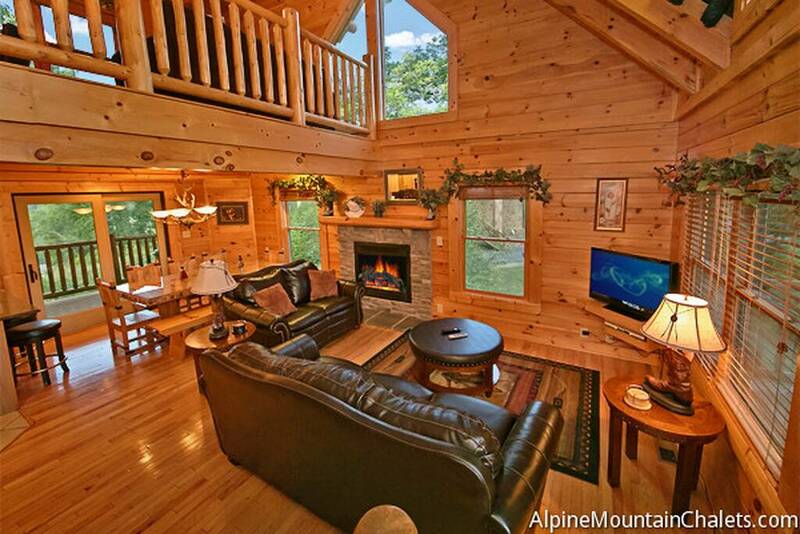 A nearby flat-screen television is great for a movie night. 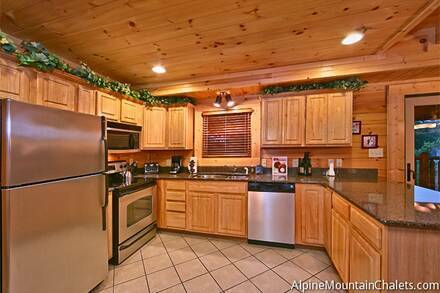 Make your stay even more affordable and use the full kitchen and charcoal grill to enjoy meals together. The view from the spacious common area in the loft may hold you spellbound. 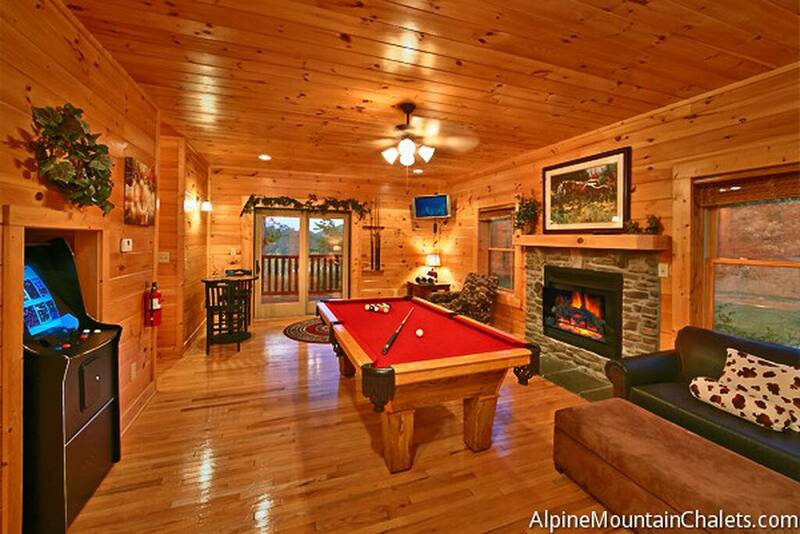 This beautiful room make for a great space to relax, with a comfy sofa looking out over the Smokies and multiple options for games. 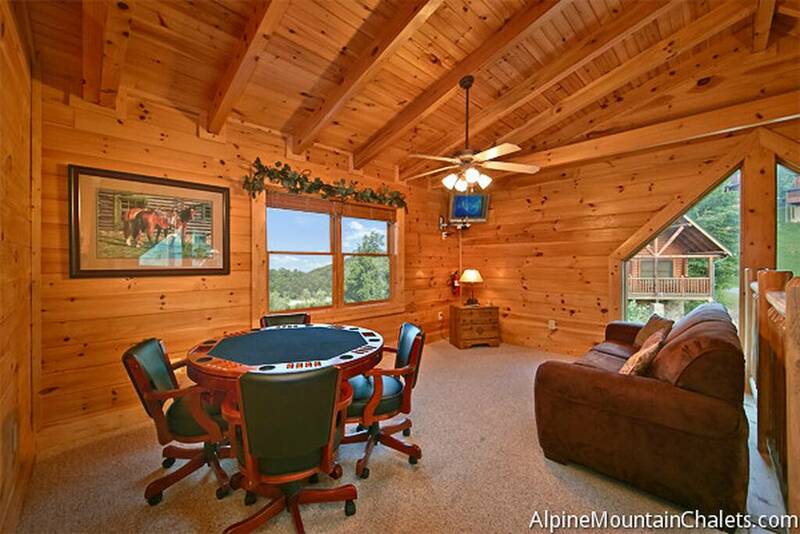 Bring a deck of cards and make a friendly wager at the handsome poker table. Nearby there is a pool table and arcade system with 50 games. 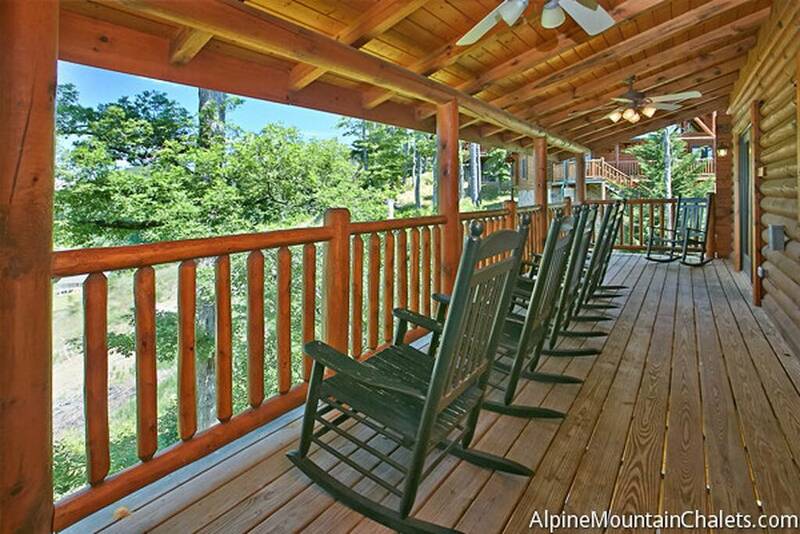 A pair of covered decks overlook a beautiful wooded valley and make it easy to enjoy quality time and a good conversation. 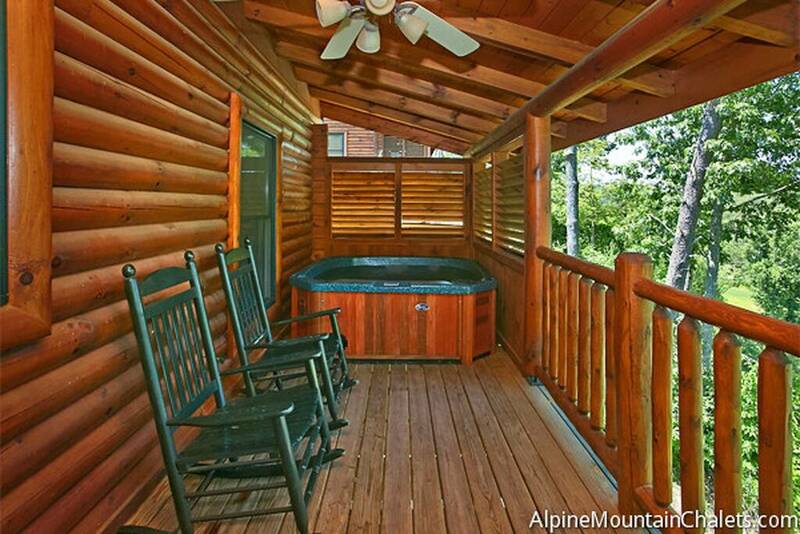 Relax in the hot tub and watch the night sky appear above. As if Mirage’s many options for relaxation were not enough, you also have access to the nearby resort swimming pool, which is open from Memorial Day to Labor Day and has plenty of sunbeds as well. 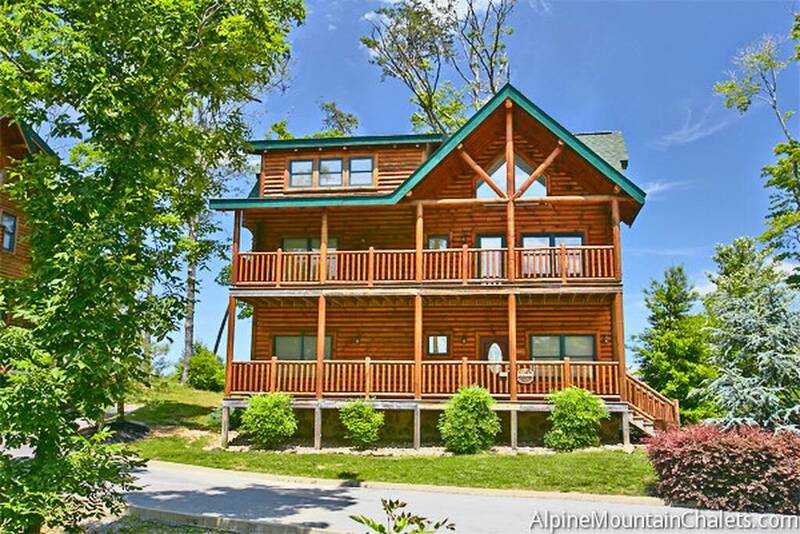 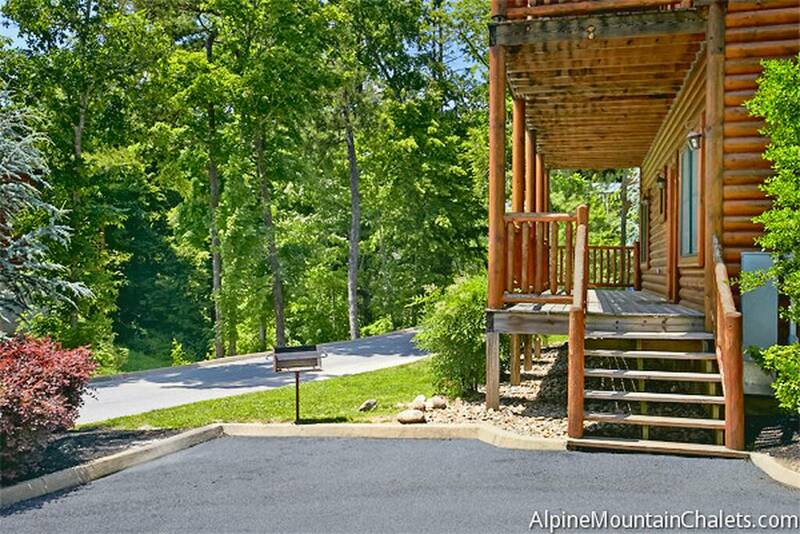 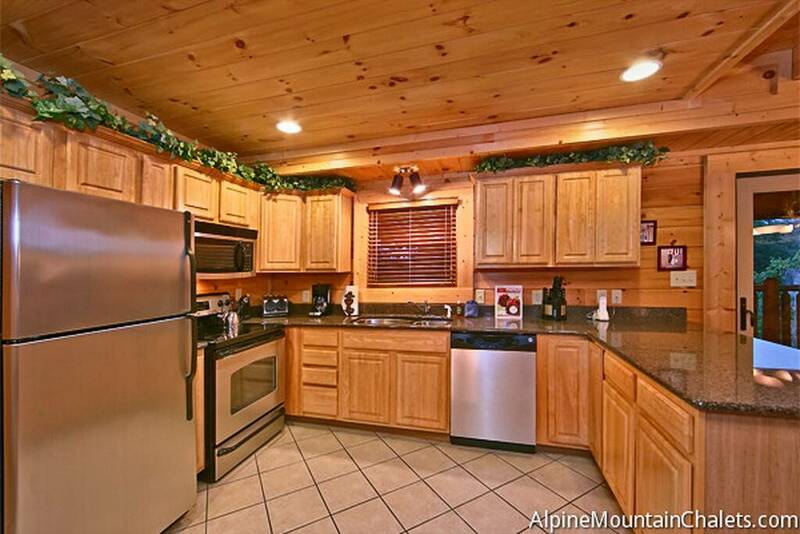 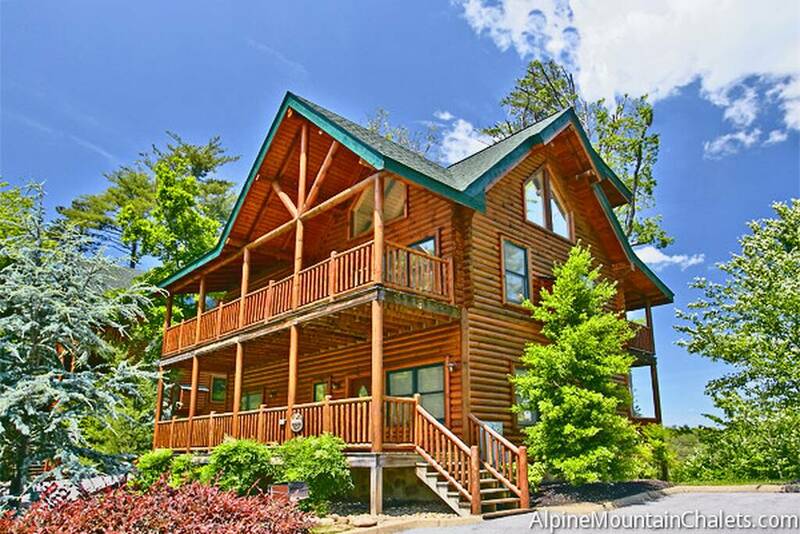 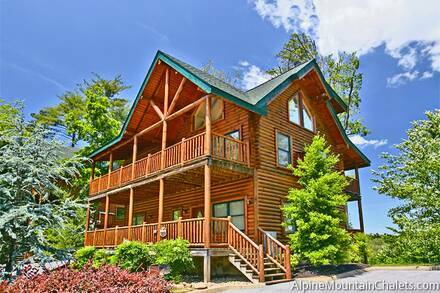 Its convenient location also makes this a great base from which to enjoy a day out in the Smokies, the amusement parks in Pigeon Forge, and shopping in Gatlinburg.